Many years ago, I was in a stage play called Run for Your Wife written by British playwright Ray Cooney, whose specialty is farce. The story centers around a cabbie named John who falls for two women, marries them both, and proceeds to create two separate lives for himself by setting up two households on the opposite sides of town. Moving from one zany scene to the next, John continually gets away with his double life. Of course, it all comes crashing down in the final scenes when the two wives unwittingly discover each other. Comedy at its finest. Over the years, I have thought about this show as I have always juggled two or three jobs, plus academics or volunteering. When I first started recruiting, I was also a coach for girls’ sports at the local junior high, oh– and I also worked part-time as a dental assistant for a children’s specialty office. Three jobs and five classes at the local college – oh…, and dare I forget -> single mom to four wonderful children. About six months into this crazy schedule, my recruiting boss pulled me aside and asked me to quit my other jobs – he wanted my focus, he wanted me full-time, and was ready to compensate me for – as well as remove some of the crazy in my life. I thought about it and became excited at the prospect of a simpler life. Little did I know that simple doesn’t always work for everyone. It doesn’t seem to for me. I have consistently had more than one job since I was in high school. Old habits die hard. I have received some great advice over the years – one such piece was to let go of some of the junk in my life, that my work / life balance could be just that – balanced. One of the most important things for me has been to recognize my worth and what I contribute to my organization and those around me. It occurred to me, just today, that this will be a lifelong process. It has always been difficult for me to back out of a situation where I think I could help, where I could coach colleagues or friends toward success, or – my greatest curse – being the mom, when I need to be a manager or leader. And while I am getting better at it, I have always had trouble saying no, mostly because I like saying yes. It just feels good to say yes. And I like to help, I like to make life and work easier for someone else. But I have found joy in saying no, not to mention the power. Personal weights & measures remind me that I am not Wonder Woman, even as much as I would like others to believe. No golden lasso or bullet-deflecting wristbands, I just got shot today and it hurt, apparently my reflexes were too slow for deflection. So what does that mean for me? Where do I go from there? Do I back down and cower in the corner? Not my style. I rise up and be the professional I know I am. I achieve balance once more. I have a couple surfboards in my garage, along with some stand-up paddleboards. When I first got the paddleboard and tried it – I liked it right away! It required balance on my part, as well as core strength. My friends who were surfers, didn’t like it as much as surfing, because a wave propelling you removed the need for soooo much balance. Each of us gets our balance from a different place. Sometimes, a massive wave about to crash on our heads is just what we need to move forward and stand up for the ride of our lives. And sometimes, you just need to be steady and paddle on. He’s right. I guess I’ll start with why. 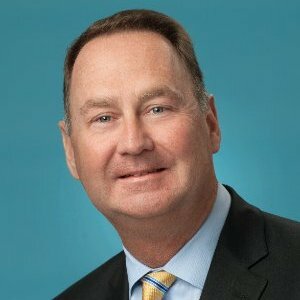 Dan White, President of Workforce Solutions at AMN Healthcare is an Expert in Workforce Management, including Recruitment Process Outsourcing (RPO), Vendor Managed Services (VMS) and Managed Service Provider (MSP). Dan is known to drive improved business outcomes through innovative solutions which specifically address the workforce. 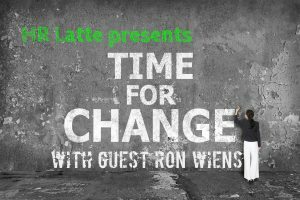 Dan joins Rayanne for this three-part series on the challenges facing Healthcare HR today by addressing staffing shortages and the issues around that! To learn more how AMN Healthcare can assist you with the Healthcare HR and Recruiting challenges you might be facing, visit AMN Healthcare Workforce Solutions. 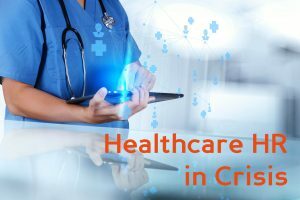 ACA and ACHA: regulations, changes in tech, compliance – how HR can stay out of crisis mode or are we already in crisis mode? Will the staffing shortage be ending anytime soon? You can connect with Dan White LinkedIn here and email him at: Dan.White@amnhealthcare.com.